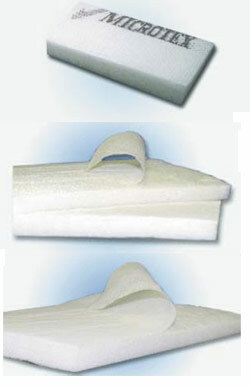 Useful in solids retention of overspray in dry spray booths; consist of special paper expanded. 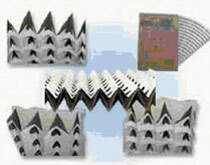 The filter septum is composed of several layers of paper together, in order to present steps larger side air inlet, and ever closer to the side of the outlet. 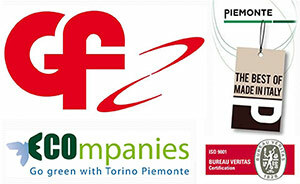 This particular structure gives the air a turbulent movement that separates the pigments of paint from airflow, allowing a high retention capacity of the particles in suspension; This kind of filter has a high level of efficiency, i.e. approximately 98%, with low pressure loss. 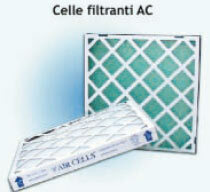 Class filtration EN 779 G4. 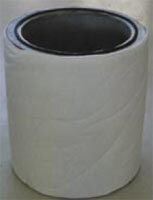 Install paper honeycomb with larger mesh side facing the user, taking care to overcome the ends a few centimeters. 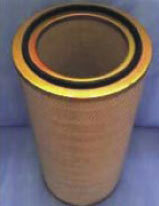 While spraying, maintain a distance between the operator and the filter of at least 1,5 mt. 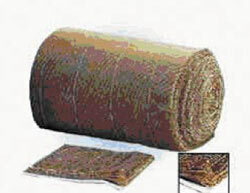 The suggested speed air crossing is 1 m/sec Saturated filters have to be removed and deposited in a special container. Should not be approached neither from heat sources nor by flame. Must not be exposed to the Sun. Must be disposed of as waste by undertaking authorised not to be equivalent to urban. 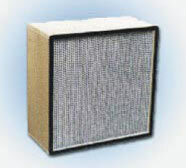 Gets a substantial air cleaning, if placed as last stage filter, and gives an excellent pre-filtration when installed upstream of absolute filters. 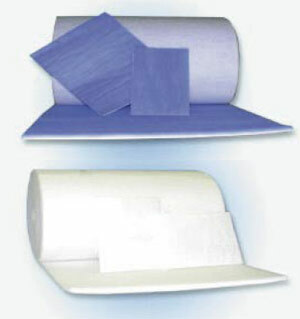 This Pocket is made with glass microfiber filter, with different lengths and thicknesses, depending on different efficiencies. They are coated, side air outlet, with a thin synthetic veil, besides increasing the resistance exercises also protective action. 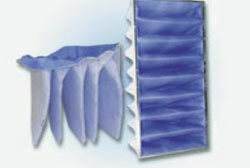 Consist of a series of pockets attached to a sturdy metal frame. 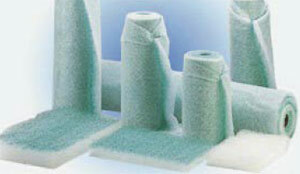 The range includes four different efficiencies: 95%-85%-65%-45% (ASHRAE 52-76). 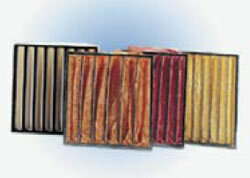 They are manufactured in various standard sizes, as the following table, and have a large filter surface area compared to the front, allowing, thus, a low-speed air flow in the filter septum crossing. Thanks to the high efficiency, these filters are marked as final in conditionoing public places, such as schools, hospitals, communities, industries, food, etc.